Los Angeles, CA (December 2, 2014) – AEG Facilities’ Los Angeles Convention Center (LACC) is proud to offer clients and guests versatile, flexible space capable of accommodating a myriad of events ranging from equestrian competitions to celebrity-studded celebrations such as the Emmy® Awards Governors Ball. With the end of 2014 fast approaching, the LACC has hosted over 350 events, several of which showcase the transformative capabilities of the facility to hold events not typically hosted at convention centers. Los Angeles, CA (October 14, 2014) – AEG Facilities’ Los Angeles Convention Center (LACC) is pleased to announce the launch of its new website lacclink.com. The new website features extensive content and resources for clients and attendees in a streamlined, functionally and aesthetically appealing interface. 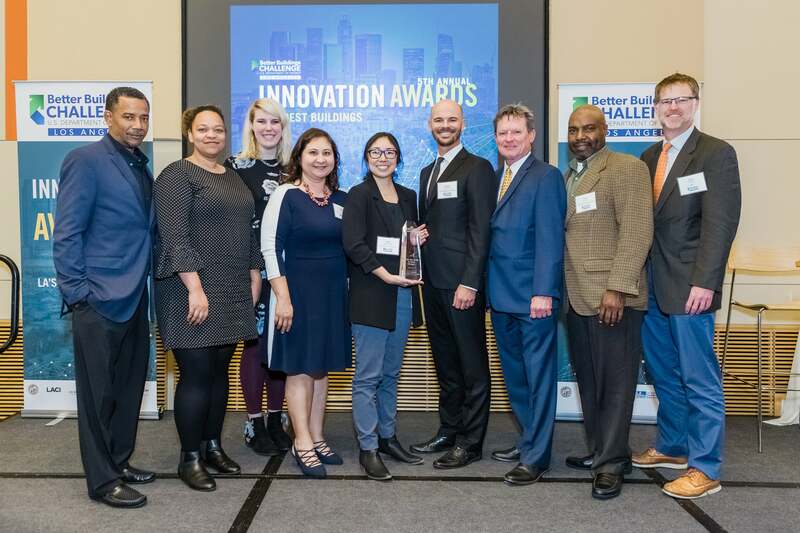 This technologically advanced tool serves as a major communication platform for LACC’s clients, guests, employees and partners; creating an intuitive, user-friendly site was crucial to enhancing user experience and engagement. Los Angeles, CA (September 22, 2014) The Los Angeles Convention Center (LACC) has reached several key and significant financial and other performance milestones since AEG Facilities took over the management of the city-owned facility in December 2013. Los Angeles, CA (August 27, 2014) - In January 2014, Gov. 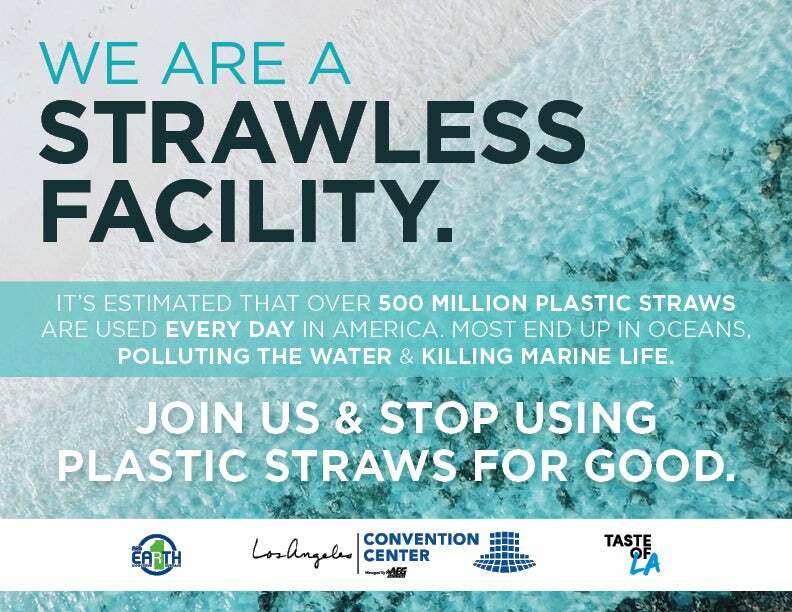 Jerry Brown declared a drought state of emergency and urged Californians to cut water waste by 20% and AEG Facilities’ Los Angeles Convention Center has sought ways to contribute to water conservation throughout its venue. 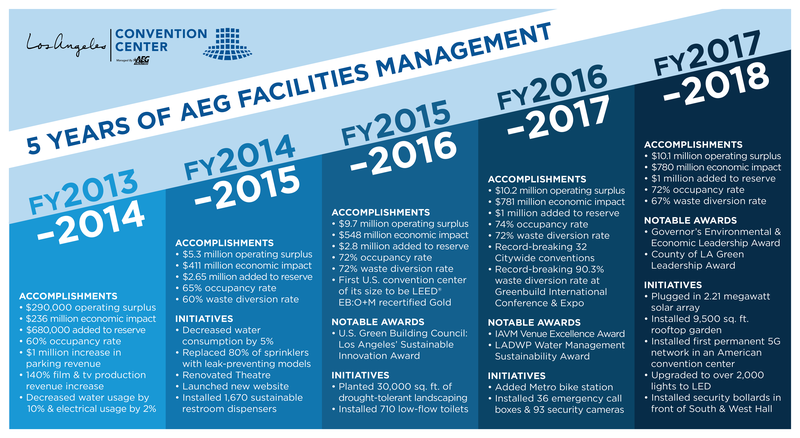 Los Angeles, CA – AEG has launched its 2014 Sustainability Report, demonstrating the company’s continued commitment to reducing the environment impact of its business, the announcement was made today at the Green Sports Alliance Summit in Santa Clara, California. Los Angeles, CA – Pasadena-based business Image Quest Plus (IQ) has been selected to operate the Business Services Center for the Los Angeles Convention Center (LACC), it was announced today by Brad Gessner, Senior Vice President & General Manager, LACC and AEG Facilities. Los Angeles, CA – The Los Angeles Convention Center (LACC) is embarking on a $10million project to provide a new look and feel to the facility located ideally in the heart of Downtown Los Angeles.